Lemon trees grown conveniently near the house provide wonderful juice, zest, and blossom fragrance when tree grows happily with the proper fertilizer regiment. Once planted and established for a few weeks, it's time to start adding nutrients around the base of the tree. Many soils simply do not supply all the nutrients necessary and fertilizer, when properly applied, will feed the lemon tree to ensure an abundant and juicy crop. It is important to select fertilizers than contain micronutrients. These components are magnesium, boron, manganese and copper. They will be listed on the fertilizer bag and could be labeled as macro- or micro-nutrients. An 8-8-8 or a 6-6-6 fertilizer will contain enough N-P-K and will not burn if applied correctly. Lemon trees that are planted in a high pH soil will benefit from a foliar spray containing manganese and zinc that is applied once a year. Fertilizer needs to be weighed on a scale and scattered on the ground with gloved hands. Fertilizer is made of concentrated minerals that slowly release nutrients when it rains or when watered with a garden hose. 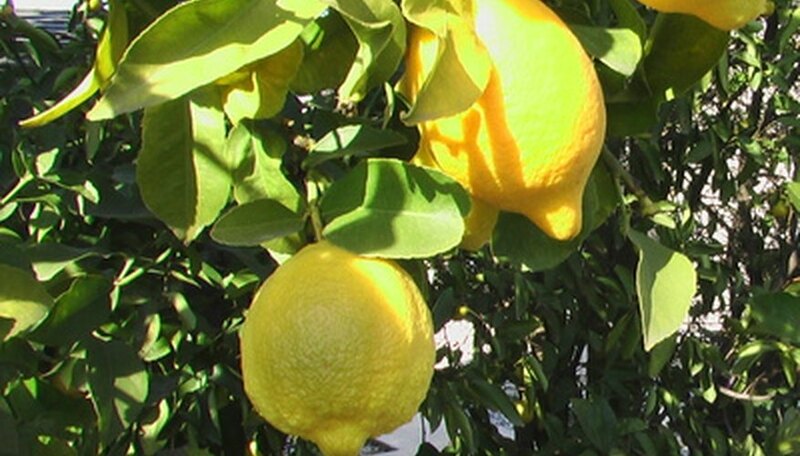 As lemon trees grow big, fertilizer is moved from the root zone by capillary action to the highest reaches of the tree, and it provides nitrogen necessary for converting sunlight into food for the tree. Phosphorus helps flower and fruit production. 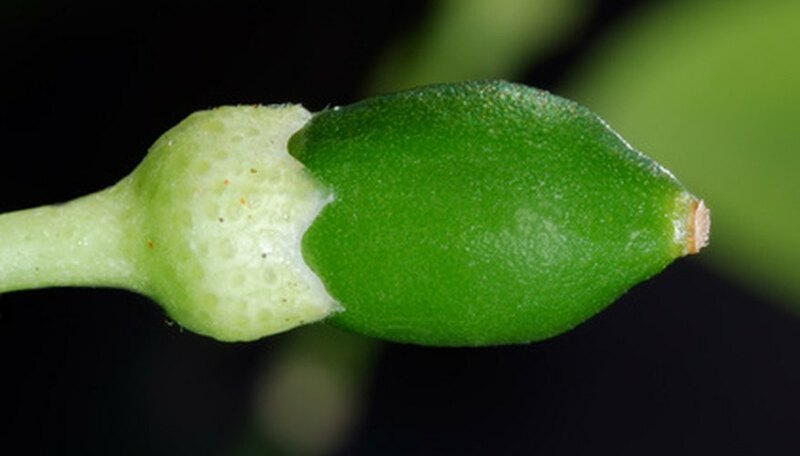 Potassium aids in overall plant health and vigor. Once planted in the ground, a lemon tree needs approximately three to six weeks to get over the initial transplanting shock and fertilizing during this time is not recommended. Water is most essential during this time when the roots are forming and expanding. Waiting about four weeks to fertilize will ensure the lemon tree has had enough time to get settled in. Applying fertilizer too soon to a newly planted tree could mean the death of the tree. As the lemon tree gets older and grows taller and wider, the roots expand outward and deeper into the ground. Increasing quantities of fertilizer, as listed on each bag, are applied each year because there are more roots to carry nutrients higher to the topmost part of the tree, thus, more nutrients are necessary as the tree gets larger. Foliar spray fertilizer can be applied to the leaves if they appear yellow and are lacking in nutrients. Large lemon trees have a drip line extending as far out as the foliage. The rule for fertilizing trees that after the first year of planting is to spread the fertilizer beyond the drip line for as many feet as the tree is old, according to experts from the University of Florida IFAS Extension. The roots of the tree usually migrate outward in search of nutrients and this area is the proper place to sprinkle the fertilizer grains. Make sure to always keep fertilizer away from the trunk of the tree.